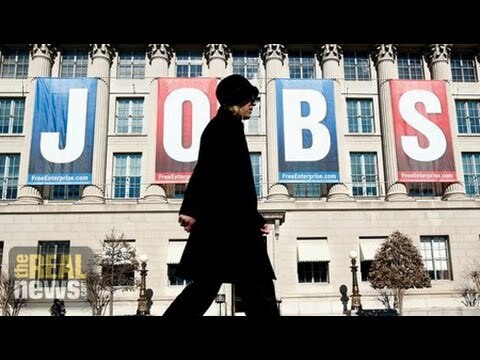 The Department of Labor released its jobs report for February, and the press is hailing it as a strong sign that the economy is flexing some muscles after adding 295,000 new jobs in the month of February. The unemployment rate dropped to 5.5 percent, which is its lowest level since May 2008. That’s back in the early days of the recession. Now joining us from New York City to give us the story behind these figures is Richard Wolff. Richard is a professor of economics emeritus at the University of Massachusetts Amherst, and he’s currently a visiting professor at the New School University in New York. Thanks for joining us, Rick. 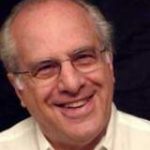 RICHARD D. WOLFF, PROFESSOR OF ECONOMICS, NEW SCHOOL, NEW YORK: Thank you very much for inviting me. DESVARIEUX: So, Rick, the labor market is getting better–at least that’s what the numbers are telling us. But is that the whole story? WOLFF: No, and it’s not only that, the whole story. It’s not even the most important part of the story of unemployment. And let me explain. First of all, sure, that we’ve added almost 300,000 jobs is a lot better than adding 100,000 or cutting thousands of jobs, which is what has happened for much of the last five or six years. So it’s better than where we have been. But it is very, very far short of what a functioning economy ought to do. And let me explain. The minute you break down these numbers–which, by the way, newspapers that do this properly have been able to do. And I’ve actually mentioned the Wall Street Journal for having given a list of charts to help people understand what these numbers means. One of those charts shows that the increase in jobs that they’re talking about has overwhelmingly been part-time jobs, not full-time jobs. And when you look at full-time jobs, we’re not even back to where we were seven or eight years ago, because that is how bad this depression or recession, whatever you want to call it, has been. Second most important reality: wages have gone nowhere. There’s been no increase in wages. That means if you put together that the wage averages have been the same, but in effect what you’re doing is giving people part-time jobs, not full-time jobs, then you begin to see that this is not an economic recovery. What has actually happened is over the last eight years of this economic crash since 2008, millions of Americans have suffered unemployment, often for one, two, and three years. Little footnote: unemployment is lasting longer now than at any other downturn since the Great Depression. What you’ve done is put people through long, painful unemployment, using up their savings, using up the resources of their family, using up all unemployment compensation that they’re eligible for, so that now they are forced to go back to work part-time instead of full-time, and at lower-wage jobs that they had before. You put all this together, and what you’re seeing is an economic slump that continues. It’s not as bad as it was in late 2008, 2009, and 2010, but to compare that, where we are now, with what the worst was is not the right way to go. It’s to compare us now with what we could have and should have been all along and what we should have now made up for. What happened in the last seven years, nothing like that has is shown by these numbers. DESVARIEUX: But, Rick, I’m going to challenge you a bit, because at the end of the day there has been real growth. In the construction industry, they’ve added 29,000 jobs, the restaurant industry added 59,000 jobs, both of them in the service industry. And the Bureau of Labor found that unemployment decreased in every state, all 50 states, including D.C., during the year 2014. That sounds, at least on the surface, as good news. I mean, that hasn’t happened since 1984. So, for you, I want to ask you: what do you think is at the root of this growth? Are we actually seeing the private sector deciding to reinvest in the economy? And can you at least say that this is a minor victory? WOLFF: Again, it depends in comparison to what. Is it better than losing jobs? Yes. Is it better than a growth of jobs that’s slower? Yes, no question. I’m glad these people have been getting jobs. But I know as an economist that if you put people mostly into part-time jobs, and if you put them mostly into low-paying jobs, and if you look at where the growth inc jobs has been, not just in the month of February, but for the last several years, it’s very clear that we’re moving from a high-wage, high-benefit, secure-job economy to a low-wage, low-benefit, precarious economic situation for the majority of our workers. That is not a recovery. That is going to a new place in this economy far inferior to what we had both before this crisis and during it. It’s basically saying to the American working class, we have put you through a proverbial economic hell in the last seven years of unemployment. At the end of that title, what awaits you is a poorer job with fewer benefits that is less secure than you had before we put you through this economic disaster. That’s why focusing on the fact that over a few month period the numbers go up instead of down distracts the attention of the people from the larger, broader reality, which is one that they ought to be very, very concerned about rather than having themselves on the back for this number. DESVARIEUX: So, Rick, for you, then, what would be a economic indicator that would represent a healthy economy? WOLFF: For me it would be using the term full employment for what it means in simple, honest English, and that would be one percent, one and a half percent of our people out of work, because basically they’re moving from one job to another. There’s always a certain amount of friction like that. But that’s it. The rest is what we’re not solving as a problem. And that is in fact getting worse. And let me explain really simply what I mean. We currently have, depending on how you count, between 10 and 20 million Americans who are not able to work in a proper full-time job that they want to have and that they want to do. At the same time, the Federal Reserve teaches a statistic called capacity utilization: what portion of the tools, equipment, machines, floor space, factory space, office space, what part is being left idle, not used? And the answer is: about 20 percent these days, which means we have more than enough tools, equipment, and raw material for those 10 to 20 unemployed millions of Americans to work with. If we put those people to work with the equipment and tools and raw materials available, we could produce a wealth of output that could do a major job in rebuilding the destroyed cities of the United States, providing for the elderly that we are increasingly a part of our population, providing the daycare that we ought to have and that finds us far behind other countries like us, and make a real contribution to overcoming poverty in around the world, which would be a lot more successful a foreign policy than the one we pursue. We have the capacity to do it. But we have an economic system that can’t, that fails to put together the people who want to work with the tools and equipment they need to produce the wealth we all know would make this a better society. That’s the catastrophe that these numbers distract attention from, which is why I’m so concerned to put them back in the context they deserve so that they can be understood in terms of the real crisis we still are living in. DESVARIEUX: Alright. Let’s go back and talk about the Federal Reserve that you mentioned. So if the economy is deemed to be at full employment, which some headlines are even saying after these unemployment figures came out, or at the very least it’s on its way back to a pre-recession sort of labor market, could this news potentially affect interest rates? And more importantly, what would this mean for everyday people? WOLFF: Yes. The conservatives in both parties, who are, unfortunately, the majority in both parties, the conservatives have been pushing for raising interest rates. I won’t go into the disputable theory and science that this is the basis for, but that’s what they want. And they need public signs that can allow them to increase the pressure on Janet Yellen at the Federal Reserve and on the whole Federal Reserve board to begin to raise interest rates. This kind of statistic, especially when it’s hyped in the way you have quite correctly characterized, will give them a bit more ammunition to put pressure on the Federal Reserve even to raise interest rates or to raise them sooner, etc. And if the Federal Reserve does it, then that will increase the cost of homes because your mortgage rates will go up, of automobiles because your car payments will go up, of the cost of our education because student loans will likely go up, and credit card debt. This is a very dangerous in an over-indebted economy. It means production and demand for goods and services will be cut back. That’s not good for production. And so it’s quite understandable that the chief at the Federal Reserve, Janet Yellen, is very nervous about these kinds of statistics pushing her and the board to raise interest rates. And here’s what it reveals. They know better than the headlines we’re discussing now how very weak the current recovery is, how the majority of Americans have not been allowed to participate in it, and therefore how dangerous it would be to raise interest rates above the near-zero level that they’re at now, because anything that could disturb as weak and uneven a recovery as we have is too scary to contemplate. Therein lies the real recognition that this hoopla over 5.5 percent is meant to distract people from. DESVARIEUX: Alright. Richard Wolff, joining us from New York City.